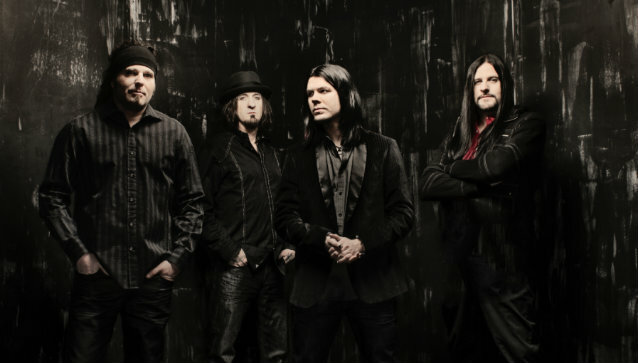 SALIVA was the featured guest on the April 28 edition of the nationally syndicated radio show "Rockline" with host Bob Coburn. You can now listen to the program at RocklineRadio.com. 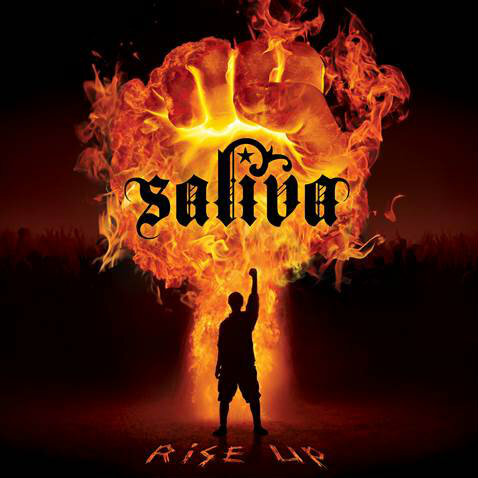 "Rise Up", SALIVA's ninth studio effort and second since the departure of original singer Josey Scott, was released on April 29. Vocalist Bobby Amaru is back for his second set with the band, along with longtime drummer Paul Crosby and founding members Wayne Swinny on guitar and Dave Novotny on bass. The official video for the CD's title track can be seen below. The clip was helmed by seasoned director Jon Vulpine, who has previously worked with DROWNING POOL, GEMINI SYNDROME and BACKSTREET BOYS. "The video for 'Rise Up' takes a different approach than we typically would have taken," states Amaru. "Our director, Jon Vulpine, sent a few different concepts over and one of them was a 'Mad Max'-type role and we all were hooked. Basically, it's a revenge piece but based around a group of people who get attacked but get the last laugh when it's said and done. Along with the fire, blood and explosions, we had a lot of fun making the video." Swinny said about Amaru, "We're lucky to have found him. We discovered him through one of our old crew guys. He really energized the rest of us. He's a great songwriter, and a top-shelf producer in his own right." According to The Pulse Of Radio, an earlier version of this album, called "In It To Win It", was released last fall as the band's first album through Rum Bum Records. "Rise Up" features a number of the same songs that were on "In It To Win It" as well as several new ones. The earlier record was later said to be a "sneak-peek" limited release for longtime fans.